Poor posture, also known as Postural Dysfunction, is defined as a spine positioned in unusual positions where the curvatures are emphasized. This puts the muscles, joints and vertebrae in straining positions, which may lead to an accumulation of pressure in these tissues. Painful disorders linked with having poor posture are common, and many individuals have firsthand experience with these complications. Low back pain is a very common concern but according to research, shoulder, neck and arm pain complaints have been continually increasing due to postural dysfunction. Foot and knee problems are also fast rising concerns due to poor posture when running or exercising. Faulty posture has many causes and is divided into two types: structural and positional. Structural causes are essentially long-lasting anatomical abnormalities that may not be responsive to correction by traditional forms of treatments. But, some foot problems, leg length disproportion, and angle issues can be amended conservatively. Posture cannot be easily corrected in an instant; it takes a lot of hard work and time. Most times, you will need the help of a healthcare professional to correct your posture. A physical therapist can help in correcting poor posture and also in the relief of body pains. Through extensive orthopedic care by means of physical therapy, you can build and repair those muscles that have been deteriorated by poor posture. Orthopedic care may be necessary. You may experience minimal or no pain at all during the procedures. 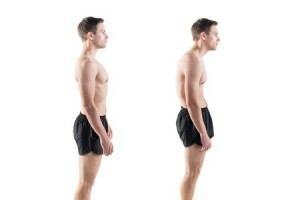 In no time, your body will adapt to having good posture. To schedule an appointment with a Denver physical therapist, call Denver Physical Medicine & Rehab now at 303-757-7280.